Vegan Protein Powder is quite simply the most advanced vegan formula on the market today. Fresh out of the BULK POWDERS® laboratory, Vegan Protein Powder provides 23g protein per serving from 5 premium plant-based sources which makes it the perfect choice to increase dietary protein intake. It’s available in four great-tasting natural flavours too, which is nice. So, what sources have we used for this fantastic product? Unlike many vegan protein formulas on the market, BULK POWDERS® Vegan Protein Powder is entirely free from soya; instead we’ve opted for a blend of Pea Protein Isolate, Brown Rice Protein, Pumpkin Protein, Flaxseed Powder and Quinoa Flour. If you’ve tried our Complete Vegan Blend™ in the past, you may wonder about the new additions to the formula. Pumpkin Protein has been added due to the neutral flavour and the abundance of naturally occurring minerals that it provides. Flaxseed Powder has been included for its protein content and mouth-feel enhancing properties. Anyone who tried Brown Rice Protein will know that it can be quite grainy and gritty, the addition of flaxseed makes the shake considerably smoother. Besides being a fantastic source of protein for any time of day, Vegan Protein Powder is high in fibre and provides a source of Magnesium, Copper and Manganese. This means that every serving of Vegan Protein Powder contributes to muscle function*, protein synthesis**, energy metabolism*** and protection from oxidative stress ****. WHY BUY VEGAN PROTEIN POWDER? If you are a vegan and looking for a high-quality source of protein, then Vegan Protein Powder is the perfect choice for you. Each serving has 23g protein sourced from a blend of five premium sources. Vegan Protein Powder is also a great choice for anyone interested looking to avoid dairy or anyone who is interested in a plant-based diet. Most other vegan protein blends on the market contain soya. BULK POWDERS® Vegan Protein Powder is entirely free from this as well as being free from artificial flavours, artificial colours and artificial sweeteners. Our Vegan Protein Powder is sweetened naturally with Stevia Extract. WHAT’S IN VEGAN PROTEIN POWDER? Pea Protein Isolate: BULK POWDERS® Pea Protein Isolate has been used in Vegan Protein Powder due to its 80% protein content, neutral flavour, excellent mixability and creamy consistency. 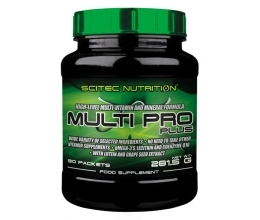 Super Pea Protein is 100% GMO free and provides a great source of Arginine. Brown Rice Protein: Brown Rice Protein is also 80% protein and provides an excellent source of Cysteine. The highest quality, non-GMO Brown Rice Protein has been chosen for Vegan Protein Powder. Pumpkin Protein: BULK POWDERS® Pumpkin Protein has a high 60% protein content along with a neutral flavour, good mixability and a whole host of micronutrients. Pumpkin Protein is a natural source of Magnesium, Zinc, Copper, Manganese and Iron. It contributes a significant source of Magnesium, Copper and Manganese to Vegan Protein Powder. Flaxseed Powder: Flaxseed Powder is normally predominantly thought of as a source of healthy fats. However, our Flaxseed Powder is 35% protein and high in fibre. Importantly, the Flaxseed Powder also helps the consistency of Vegan Protein Powder, negating any graininess from other vegan protein sources. Quinoa Flour: One of the oldest grains in the world, Quinoa Flour is a natural source of protein, Zinc, Iron and Calcium. DigeZyme®: DigeZyme® is a popular blend of five digestive enzymes: Protease, Amylase, Lipase, Lactase and Cellulase. These digestive enzymes help to break down protein, carbohydrate, cellulose and fat. WHO IS VEGAN PROTEIN POWDER SUITABLE FOR? Vegan Protein Powder is the ideal supplement for vegans wanting a great tasting source of protein in their diet at any time of the day. V+™ Protein Blend (Pea Protein Isolate, Brown Rice Protein, Pumpkin Seed Protein, Flaxseed Powder, Quinoa Flour), Cocoa Powder (Chocolate Peanut Flavour Only), Natural Flavouring, Instantising Agent (Sunflower Lecithin), Natural Colouring (Beetroot Red – Strawberry Flavour Only), Sweetener (Stevia Extract), Emulsifier (Xanthan Gum), Citric Acid (Strawberry Flavour Only), DigeZyme® Enzyme Complex (Amylase, Protease, Cellulase, Lactase, Lipase). Vegetarians, Vegans, Gluten Free, Soya Free. Mix 1 heaped scoop (approx. 35g) with 250ml water and shake well in a iFit shaker bottle. Use 1-3 servings per day.